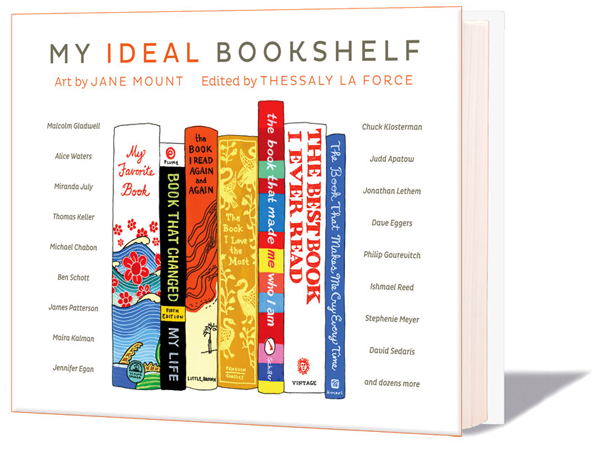 I'm so excited for 'My Ideal Bookshelf' to come out! I found out about this new publication thanks to Swiss Miss. This book, which is illustrated by Jane Mount, showcases one hundred leading cultural figures and lets us have a peek into their bookshelves. I'm a book hoarder so this book is totally on my bday/Christmas wishlist. I'm really looking forward to reading contributions by Judd Apatow or Patti Smith (and.. James Franco, I gotta admit! :). The illustrations also look pretty awesome - check out a time lapse video of Jane Mount painting some of the books. 'My Ideal Bookshelf' comes out on November 13.